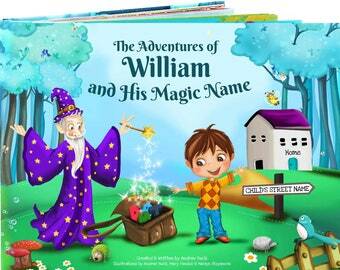 Premium personalised children's story book for Boys or Girls. 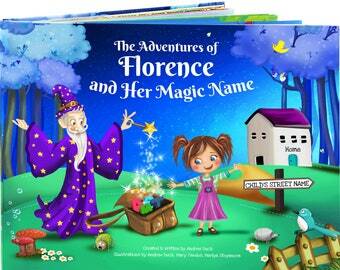 Make a child the star of there very own personalised story book. So a book for J-A-C-K would have a different story to a book for T-O-M-M-Y. 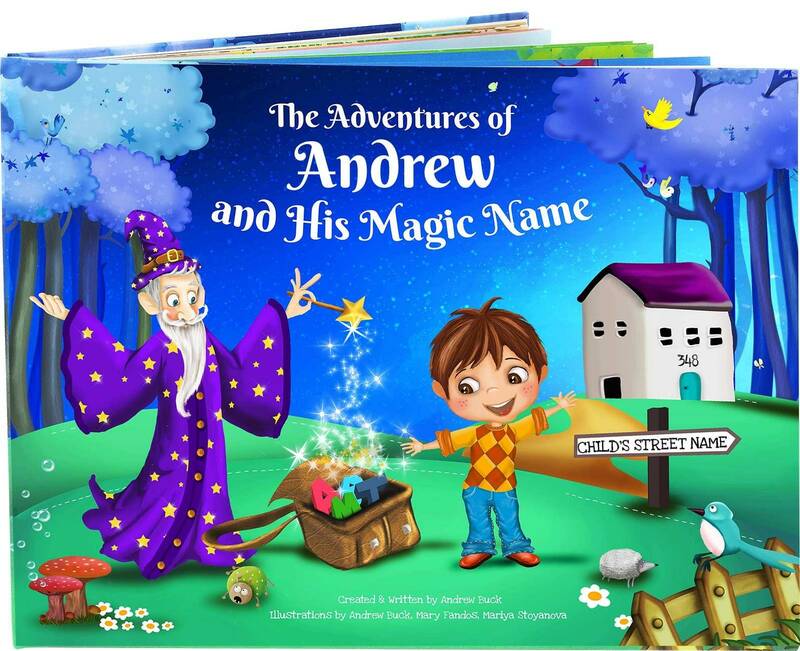 The delightful storyline cleverly uses each letter of the child's name to help colourful characters in the nearby circus. A wizard has made the little boy or girl's alphabet magical so each letter used has special powers. At the end of the book the little boy or girl discovers that each magic letter used to help the friendly animals in-fact spells out your child's name. 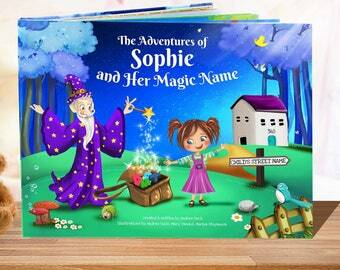 Wait and see there little face when they see their name in big print in the book. It's Magical! 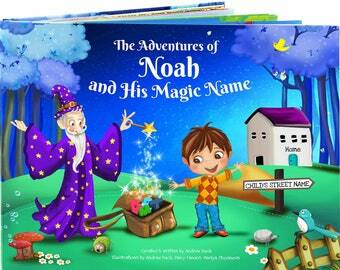 Perfect as a special gift, birthdays, Christmas present or a bedtime treat for a well-behaved little boy or girl. - But a lot of customers purchase for newborns as a special keepsake as-well. As a small family business we look forward to creating your unique gift and providing a personal customer service experience. I wish I could give ZERO stars. I ordered this book in JANUARY and its APRIL and it has yet to arrive. Horrible shop. Buyer beware. Waste of $30! Thank you very much for the book for my son for his birthday. He will love it. This book arrived just in time for my nephew's birthday. The book was really cute and it's a very thoughtful gift. My sister loved it! My nephew was thrilled to read it. Do shorter names have shorter stories? No, If the child's has only 3, 4, or 5 letters in there name we add extra pages so each book is packed full of clever rhyming stories. 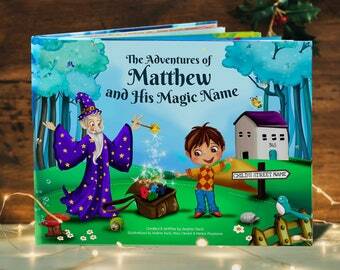 How is the book personalized? 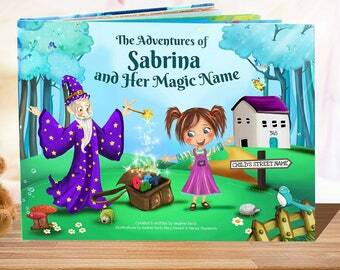 Our books are uniquely personalized like no other story book available. 1. Child's name appears on the front cover. 2. Child's street name appears on "road sign" on the front cover. 3. Child's house number appears on "little house" on front cover. 4. Add you own personal dedication (350 characters) which features on the first page. 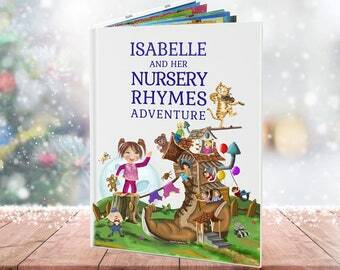 We custom make and hand-craft each beautiful book so that every illustration and rhyming story is purely based on the letters of the child's name. 5. 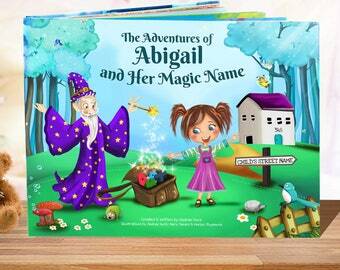 As if by magic, the end of the book reveals that each letter used to help the colorful characters in the story actually spell out the child's name and appear in BIG letters on the blackboard. What are your Christmas Shipping Dates and Delivery? We always recommend allowing a few days contingency when able and we always process orders within 1 business day. We cannot "guarantee" Christmas delivery due to factors such as items that may get caught in your countries customs for processing, as this does prolong shipping times and is out of our control. Do you include a receipt or pricing information with the order? Recently Canada Post has been having strikes which will slow down the delivery of orders shipped to this country. We cannot be held responsible for late shipping when Canada Postal strikes are out of our control. Please expect delays while strikes are active, or have been active in Canada.